One of the most iconic gaming characters of all time has arrived on Windows Phone 7, bringing with him, high-speed arcade platform madness. 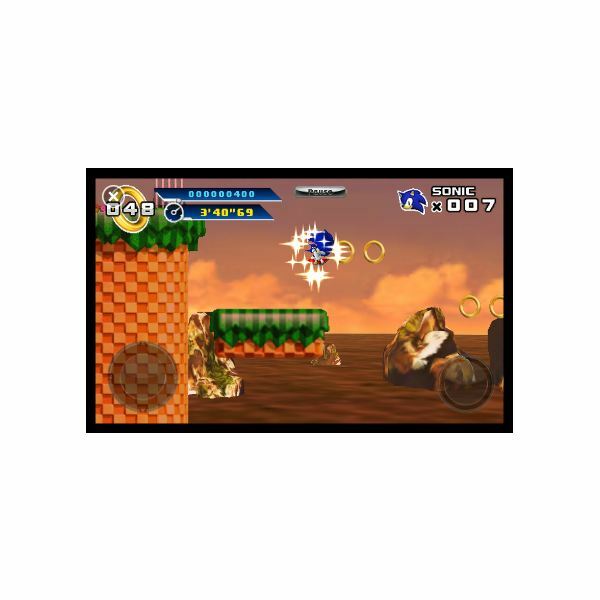 Sega’s popular Sonic the Hedgehog has been reborn for mobile phones, and as part of the “Must Have Games” promotion for Xbox LIVE titles on WP7, Sonic the Hedgehog 4 Episode 1 is newly released. This is likely to be a top-drawer title, bringing with it great graphics, frantic gameplay, plenty of achievements to unlock and the added benefit of brand new worlds that Sonic veterans will absolutely love. This new game is a 2D version, and carries on the battle against the malevolent Dr Eggman. With Sonic under your control it is time to foil Eggman’s terrible plans, but luckily the hedgehog has a few new tricks in his spines! If you’re a veteran gamer or fan of retro gaming titles and platforms (or have come across Sonic on Xbox LIVE) then you will probably know that this little blue hedgehog goes around defeating Doctor Ivo Robotnik aka Dr Eggman by collecting up as many gold rings as possible and spinning and bouncing off Eggman’s various creations. Essentially, Sonic the Hedgehog is a platform game with level bosses, and was one of the first to take this approach when launched back in 1991 on the Sega Mega Drive. 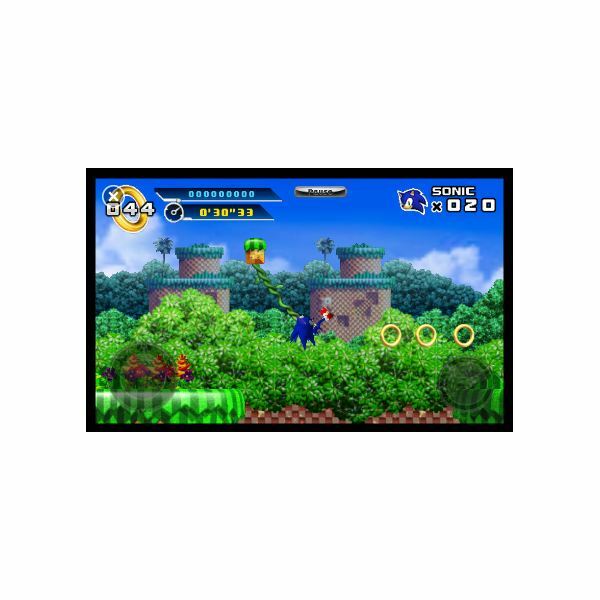 The character persisted through several sequels and spin-off titles on Sega Master System, Game Gear, Saturn and Dreamcast before Sega quit producing consoles, at which point the iconic, pointy, blue hedgehog could be found on pretty much any games platform around, except Windows and OS X.
Sonic the Hedgehog 4 Episode 1 has already been released on iOS, PlayStation Network, WiiWare, and Xbox Live Arcade. It harks back to the 16-bit era of 2D side-scrolling platform titles, eschewing the 3D view of many recent versions. If you’re unfamiliar with Sonic, the aim of the game is to defeat Dr Eggman while collecting gold rings. 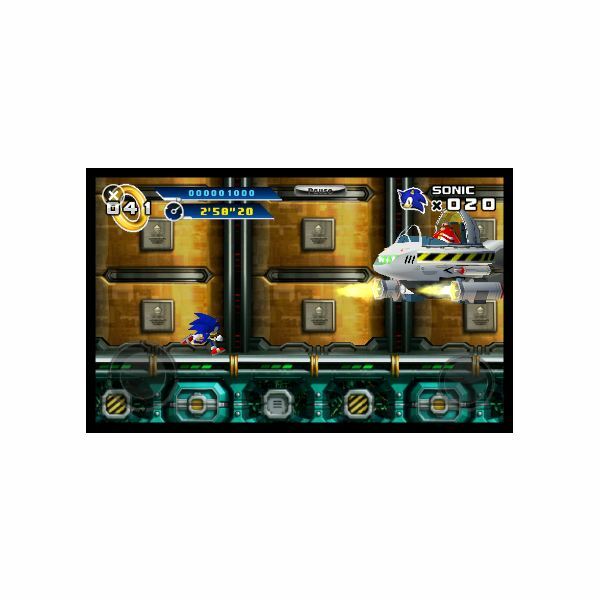 The game is fast – Sonic has his super spin mode for running through the levels at top speed – and as a result you need to have very fast reactions. In many ways, the original Sonic was the ultimate platform game, taking all of the best actions and throwing in the spin power, and this sequel attempts to get back to that original feel. Similarly, the controls are fiendishly simple. A software joypad on the lower left of the display and a jump button on the right provide you with almost all of the interaction required, while you can tap on the display when you spot Homing Attack options to send Sonic spinning into these, often resulting in the character progressing through the course. Obviously the game was going to be strong in this respect, and there certainly is plenty to look at in Sonic’s latest handheld adventure. All of the strong character design is there, with plenty of visual clues, although from time to time the Homing Attack targets are difficult to distinguish from the items that they are supposedly highlighting. However, this is a minor distraction. The game moves quickly, by and large, without dazzling the player and the main character and landscape look as good as you would expect them to. As far as the sound track goes, meanwhile, again it is business as usual. 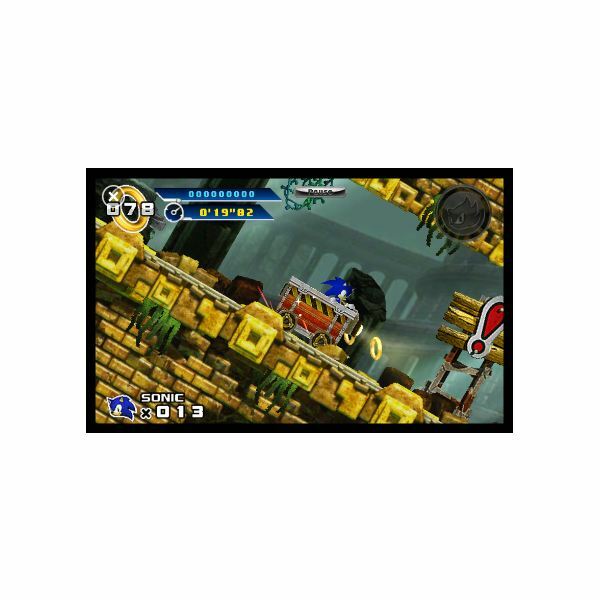 Plenty of legendary Sonic sound effects are included in the game, along with the familiar “SEGA” chime. If you’re a regular reader of Windows Phone game reviews on Bright Hub, you will be aware of the desire for Microsoft to cut back on the price of Xbox LIVE titles. This seems to have been forthcoming in many cases, with PES 2011 and Assassin’s Creed both featuring prices reduced from over £5 to just under £4. However, Sonic the Hedgehog 4 Episode 1 is selling for £5.49, and if the problems listed above aren’t enough to put you off, then the price certainly should. Xbox LIVE offers the management and sharing of achievements – fair enough – but for a game to be launched at this price over six months after the platform launch and after plenty of vocal rejection of this level of pricing… well, it’s pretty ridiculous, not to mention insulting. If you add to this the reports of screen lag on a variety of devices, you end up with an expensive, unresponsive port of a supposedly “Must Have Game”. A surprisingly steep price (promotions usually offer discounts, Microsoft!) and uninvolving gameplay places Sonic the Hedgehog 4 in a sticky situation. The game has the weight of many years of history balancing on its spines. Sixteen years have passed since the last 2D version, and things have moved on, frankly, with games like Max and the Magic Marker on the Wii and Windows Phone displaying just how a 2D platformer should be done. Like Earthworm Jim HD before it, looking good and repeating the same gameplay on a new platform doesn’t do justice to a classic gaming title, and Sonic the Hedgehog 4 really should be so much better. The Homing Attack feels like a bolted-on afterthought to sell the game to touch-screen devices. Graphics and sound aside, this is hugely disappointing. All screenshots from Sonic the Hedghog 4 Episode 1 as listed in the Windows Phone Marketplace, where the game can be exclusively found.